This week I’m going to give my card-by-card review article template a rest and go for a more holistic approach to how Khans has impacted Magic across various formats. I want to take a look at Standard, sure, but also analyze how Modern, Legacy, and even Vintage could be affected by new additions from Khans of Tarkir. “Other – Aggro” is a decent percentage of the format at 7%. I’m interested the most in these decks since I don’t think they’ve been talked about much and could provide some insight into the direction Standard might go if they put up results at the Pro Tour. The four decks so far in this category include a deck called Robots (which won something called “Garden City Convention 174th The Last Sun Trial ” in Japan), Temur Aggro, Sultai, and Mardu Aggro. Woah, now this is something that I wasn’t quite expecting to come out of Khans rotation – simply not something I would expect to win a tournament. Keep in mind that the tournament was only 35 people and in Japan, which is most likely why this rogue deck took down the tournament. Still, based on all the weirdness there might be opportunity. The first cards that pop out to me are Chief Engineer and Ghostfire Blade as playsets in the deck. Chief Engineer is about $1.50, so if this deck takes off I think it could see a bump to $3 or more. Ghostfire Blade at $0.50 is OK but I don’t really expect it to break $1. Only pick them up if you like them, since for now its utility is limited outside of this particular deck. Hypnotic Siren at bulk prices is also a good pickup if you like this deck. Tomb of the Spirit Dragon as a three-of is hilariously awesome since everyone initially dismissed it as hot garbage, only thinking about the limited capabilities of the card. If you can, pick these up for bulk because they also shine in colorless EDH builds. I think foils of this are a good pickup if you can get them for $1 or less. On the other hand, how much utility does Daring Thief add to this deck? OK, I can exchange my Ornithopter or Springleaf Drum for one of your creatures or artifacts during my upkeep… doesn’t seem that great. I guess it being a 2/3 is cool yet I’m pretty sure this could be replaced by something else. Overall, the deck is pretty neat but I’m afraid if it catches on more artifact hate will pop up to handle it. Reclamation Sage is a card, as is Sultai Charm, which I’m sure are going to see play in main decks regardless of how this deck plays out. Still though, there could be opportunity here if the deck takes off at the Pro Tour for some reason. It has gotta be an awesome feeling to kill someone with a 5/5 indestructible land! Temur didn’t really show us anything new or what we didn’t expect. 4x Anger of the Gods out of the sideboard is a sign that this card can do work against the right matchups. For Sultai, I’ve heard many players talking about the potential of Sidisi and how good it might be in the upcoming Standard. $7 is not a cheap buy in for a mythic and right now the jury is out as to exactly how good she is. I would advise against picking her up for now, since Sultai would have to become very popular in order for her to sustain $15 or more. There are four other clans competing for popularity in this Standard and Soltai only represents 20% of the possibilities. The risk is too high for me personally. Rakshasa Deathdealer is pretty cheap, as is Herald of Torment and Nighthowler. Pick up your copies if you like Sultai though I’m not sure how big the gains here might be for Deathdealer or Nighthowler. Herald can at least fit across more than just this archetype so that would be the safest pick up if you are expecting to gain value from one of these three cards. Moving on to Mardu, four Grim Haruspex and four Bloodsoaked Champion could be a sign of things to come. I would favor picking up Haruspex over Champion right now, since the $5 for Champion is definitely going to go down while Haruspex could go up in value if it sees more play. Three Sorin is something to note however unless he puts up results at the Pro Tour I can only see his price going down from here. So Jeskai Ascendency, eh? I can’t believe this thing can get Turn 2 kills, can you? Last week the deck took down a 136 player event so Ascendency appears to be the real deal – at least until people learn how to deal with it. So here is how to win with this deck. Cast two or three mana dorks. Play Jeskai Ascendency (or Glittering Wish and for Jeskai Ascendency then cast it). Cast a ton of cheap cantrips, all while drawing and discarding cards off the Ascendency triggers. Each noncreature spell you cast pumps your mana dorks and untaps them, so you keep getting more and more mana and casting more and more spells. After casting 20+ spells attack for lethal. Your backup plan is to Grapeshot them to death or Glittering Wish for Aurelia’s Fury out of the board to kill them. Glittering Wish has already spiked from these results – going from $2 to $16 in a week’s time. I would say that a good target based on the decklist (that used to be hilariously bad) is foil Cerulean Wisps, however it has already been bought out on TCGPlayer and the only copy left is $15… so no opportunity there either. Really, the only option left is Jeskai Ascendancy itself but unfortunately this has already spiked to $5 TCGmid too! It might go higher, however it is only a rare and as more product is opened the price will stabilize or continue to drop, especially if Wizards decides to ban this card if it becomes too oppressive when the next banned list changes are announced at the end of January. Odds are it probably won’t get banned but stranger things have happened. Outside of the Jeskai Ascendency hype, Dig Through Time seems to be testing well in Scapeshift and other Modern lists like Blue Moon. Foils here are outrageous right now, so avoid them and wait for more product to be opened. Normal copies at $4 aren’t going up in price for a while, and could trend downwards as more product is opened. Also, we can’t discount the effect that the allied fetchlands will have on Modern. They will greatly reduce the price of manabases and help more players enter the format. This means that the end of absurdly expensive manabases is in sight yet the pendulum could easily swing in the other direction and drive up the price of non-land staples in Modern. 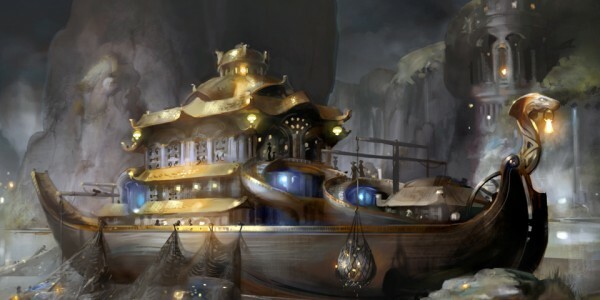 Treasure Cruise and Monastery Swiftspear have quickly entered Legacy as new staples. As part of a U/R Delver list that won a SCG Legacy Open they both offer something to Legacy that can’t be ignored. Swiftspear easily becomes a 2/3 or a 3/4 in a single turn with all of the easy to cast blue cantrips and card draw spells, in addition to the cheap burn. Treasure Cruise is like an upgraded Standstill that synergizes extremely well with the objective of U/R Delver, which plays nothing but cheap burn spells and fetchlands to quickly fill up the graveyard. Regular copies of both aren’t moving in quite some time, so pick them up for bulk and when you draft / play sealed and hold onto them. Foils will drop in price over the next several months – right now their prices are maintained primarily by hype. Some other cards from Khans that have shown up in legacy are Dig Through Time and Sultai Charm. Nothing that is going to warp the format though something to note is that Dig Through Time has both Modern and Legacy appeal. I would keep an eye on Anafenza, Sultai Charm, and Ugin’s Nexus foils over the next two to three months based on the review. Anafenza foils are currently $15, while Sultai Charm and Ugin’s Nexus are around $8 for foils. They might drop as more product is released and the release hype dies down. Avoid Mantis Rider for now. If you want to speculate, picking up Grim Haruspex foils for $2 each could yield sizable rewards in the future. Foils of this are around $40 right now, so I would avoid them and wait for the release hype to die down before trying to pick up a foil copy. Again, foil prices are driven by hype so wait for the hype to die down. Just want to mention that you should read Brian’s article because it gives a great overview of how Khans could affect Vintage. Khans cards seem to have found a home everywhere except for Vintage, and even though we haven’t seen any results in Vintage there could be a few that are included in future lists based on Brian’s analysis. For the most part, if you are picking up cards for financial value you are going to want to wait for the hype to die down unless the card is from Theros block or is currently a Khans bulk rare. These are the types of cards that are going to gain over the next few weeks, especially after the Pro Tour weekend depending on which cards are featured in the Top 8 decks.